Lawrence W. Rosenblatt is a graduate of Brooklyn Law School. Prior to entering law school, Lawrence worked for several Fortune 500 retailers in both management and operations.As a member of Aaronson Rappaport, Lawrence manages a varied range of complex civil litigation matters with multi-million dollar exposures from inception through trial, focusing on achieving excellent results in a cost-effective manner. Lawrence has obtained multiple defense and directed verdicts as well as dismissals on summary judgment and Frye motions for his clients throughout New York. He is also a member of the firm’s Executive and Marketing Committees.Admitted to all New York State courts and the federal courts of New York, Eastern and Southern Districts, Lawrence also manages complex litigation matters in New Jersey.Separate and apart from his Aaronson Rappaport obligations, Lawrence is an invited member of the prestigious Claims & Litigation Management Alliance (CLM). Selected attorneys and law firms are extended membership by invitation only based on nominations from CLM Fellows. 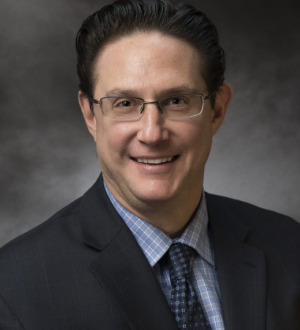 Lawrence has served as CLM’s Chair of its National Medical Malpractice Sub-Committee, and has also been a presenter at CLM’s national and regional conferences on the subjects of defense strategies in high exposure medical malpractice matters as well as Frye and Daubert motion practice. Lawrence is also a member of the New York City Bar Association’s Medical Malpractice Committee and has achieved a peer-reviewed AV-rating by Martindale-Hubbell. He has also been nominated and listed by New York -Metro Super Lawyers, Best Lawyers In America, and Top 100 Civil Defense Litigators in multiple practice areas. Specialties: civil litigation, including professional negligence, general liability, premises, construction, auto, products and employment law, with an emphasis on high-exposure medical malpractice, catastrophic injury and general liability matters in the greater New York and New Jersey areas. Kings County – Directed verdict for a defendant hospital in wrongful death action, wherein it was claimed that the patient deteriorated and died as a result of a foreign body being left in the patient for several hours after surgical closure, but thereafter recognized and removed by re-operation. Kings County – Defense verdict in wrongful death action, wherein it was claimed that a defendant endoscopist failed to properly monitor and appreciate worsening vital signs, leading to the arrest and death of a patient in his 50s during an elective colonoscopy. Kings County – Defense verdict in a medical malpractice action, wherein it was claimed that a defendant vascular surgical consult failed to appreciate an injured artery immediately following a knee replacement revision surgery, leading to ischemic neuropathy and permanent foot drop the following morning. Richmond County – Defense verdict for a defendant infectious disease consult in a medical malpractice action, wherein it was claimed there was a failure to adequately treat an alleged deep knee infection following a total knee replacement, allowing the patient to be prematurely discharged on inadequate antibiotics. It was claimed that this resulted in systemic infection and localized infection to the knee, requiring staged surgical revision of the prior knee replacement and leading to permanent ambulation difficulties. Dutchess County – Directed verdict for a defendant hospital in a medical malpractice action, wherein it was claimed that the hospital was vicariously liable for the actions of the co-defendant general surgeon under a theory of apparent agency. It was also claimed that the co-defendant surgeon caused multiple bowel enterotomies during the course of two surgeries. It was successfully argued at close of evidence that plaintiff did not elicit sufficient evidence during trial that the patient reasonably relied on representations made by hospital staff in making her decision to undergo surgery with surgeon, so as to allow an apparent agency theory to be considered by the jury.